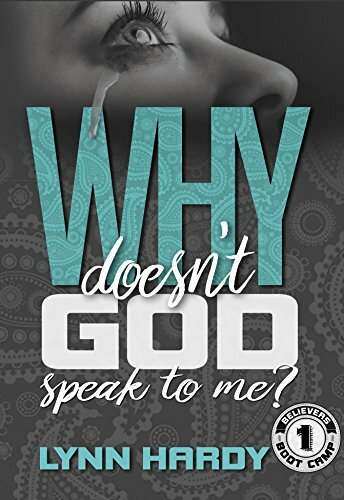 Why Doesn’t God Speak to Me? Eager hearts cry out, hoping for a single word to confirm that He hears us. Yet, many times the only sound is silence. Over the years people have given me several reasons why God speaks to some and not to others. One night, as I tossed and turned, I brought each of these reasons before the Lord, stating why each of them did not line up with who I thought He was. Words rose from my soul, pleading for Him to reveal why He has remained silent when a single word from Him would mean so much to so many. For the next few hours, God used things I learned about years ago and things I had just discovered to show why He talks to some in demonstrative ways and why He doesn’t speak at all to others. In His grace, He also showed me how people could hear more from Him. I have included these basic instructions on how to hear more from God and how to be led by Him in this book. Thank you for taking time to consider the answers I received and share with you now.